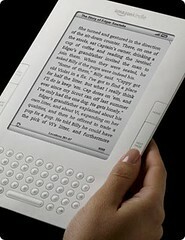 I hope you were all inspired by the exciting new Kindle family and what it means for ebook consumption. If you're ready to take the plunge, this article will help. This is a guest post from the lovely Simon Cheshire who is now helping writers with ebook file conversions. I am hugely grateful for this because I have a very low patience threshold, and patience is critical for ebook formatting! I've been producing Kindle-ready ebooks for a while now. Through a process of trial and error (sometimes it's been a trial, and it's easy to make lots of errors) I've realized that the whole experience needn't leave you tearing your hair out in frustration, provided you keep a few basic dos and don'ts in mind. Although you CAN upload Word documents to Amazon for auto-conversion into Kindle format, I'd say don't. Unless you're prepared to keep re-uploading it until all the weird layout glitches are ironed out. The Kindle uses a version of HTML, and if you want your ebook to look good you should start with an HTML file, with the text derived from a format-stripped, plain TXT source. Everything, from paragraph marks and italics to chapter headings and em dashes, should be individually coded. Yes, that means a LOT of work, but clean, clear HTML code is at the heart of the ebook ecosystem. Until recently, Amazon allowed uploaders to add as many keyword tags to their Kindle titles as they liked (i.e. words which will help the book show up in searches), but not any more. You're currently allowed just seven, so choose them with great care. Don't just put down vampire or Harry Potter assuming it'll put your book at the top of most reader's searches. It won't. An ebook is a fundamentally different thing to a printed book. A printed book has a layout, a physical look, that cannot be replicated electronically (unless you're dealing with PDF files, and they're a whole other ball game…!) When you come to prepare your book for the Kindle, bear in mind that things like graphics, boxes, tables and lists look great in print, but can look a horrible mess in an ebook. Ebook text is not fixed. It flows according to the reader's preferences, not the writer's. Minimise anything that will impede that flow. There's great debate all over the ebook world about pricing. All to often, the advice is: make it as near to free as possible. While this does entice some readers, it also badly devalues the long hours of work you've put into your book. You wouldn't get Gordon Ramsey flogging dinners for the same price as a Big Mac, would you? Or Apple doing iPhones for the same as an entry-level pay-as-you-go? All Kindle titles can be sampled before they're bought. If the book is good, readers will pay a fair price for it. I'd say a fair price is a few dollars less than the print equivalent. When you come to write your NEXT masterpiece, think ahead. If you're only going to publish in electronic format, don't write it in something like Word at all, just use a simple text editor. It makes for far less work later on. Or even, if you're confident with HTML, code as you go! Insert your bold tags and your line break tags in with the story if you like, rather than putting things in bold, or whatever. Simon Cheshire is the author of 16 books and you can find his books on Amazon. He has converted all his books himself so he knows the importance of formatting for Kindle sales. He is now doing ebook conversion with The Creative Penn clients, as well as cover design and typesetting. You can also listen/ watch an interview with him here about writing children’s books. Once you have a converted file, you can learn everything else you need to know about ebook publishing in my mini-course. Click here to learn more about it. If you want to be a good Kindle writer then be a great Kindle reader. Get a Kindle and buy a variety of books and see what works and what doesn’t. My experience is that I read a Kindle differently than I read an analog book. Sort of like the difference between reading a large hardback and a pulp paperback. Long paragraphs and narrative just don’t seem to fit the format. Thanks Kmuzu, I find I read Kindle books in the same way. The medium disappears and it’s just the message that remains. But then I also like fast paced books like you! Interesting stuff and good advice. Thanks. Reference number 1 does it matter so much if one has written novel? I ask this because I uploaded my first novel to Amazon first time without any problems and I assume this is because as a novel it was mostly text. I hope that I am learning enough from reading a Kindle on my PC about the layout. It’s good to have tips on how to be more successful in publishing a book. Writers do need to keep up with the different technologies and learning the different tricks would help them become more efficient. I agree with the first poster about editors checking the writing and also my spelling is treable and word picks this up. But from not on I’m not going to format until the writing done and I’ll do it in text editor. P.S I had to correct 6 words of this comment. I got to keep my word. Hi Simon and Joanna – I know this is an old post but I’ve just come upon it today. I was wondering what you’d recommend, then, for titles, sub-titles/headers, sub-headers. Is it better to use the header tags (h1-h6) or is it better to mark them up using a css font size? Or would it be better still to use the deprecated font tag with a size attribute? b) html-kit (free or pro versions) which provide buttons like those on a word processor but are html tag-specific, a spell-check and save in totally clean, compliant HTML. Both are for Windows OS. It’s a bit of a culture shock to move from a word processor – but only for the first few pages. After that, aside from the huge benefits of using a program that’s not bloated and therefore fast, there’s little reason to look back. And for those who also want to produce a hard copy, it’s much simpler to copy/paste the content of the html output (i.e. reading it into a browser) into an e.g. OpenOffice.org file and to use the formatting tools there than to start in a WP and convert to html.